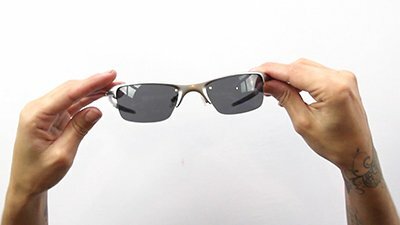 First, you'll need to locate the screws, which are usually on the underside of the sunglass frame. Determine whether you will need a flat head or, a Phillips head screwdriver, you are ready to loosen the screw. Grip the frames and gently turn the screw a few times to loosen the frame. We recommend not removing it completely. 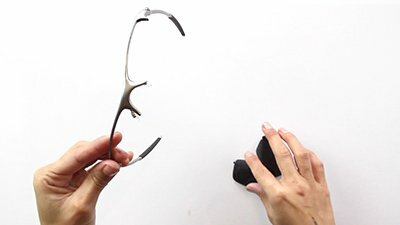 Apply some preassure to the back of the lens and it should pop out easily. 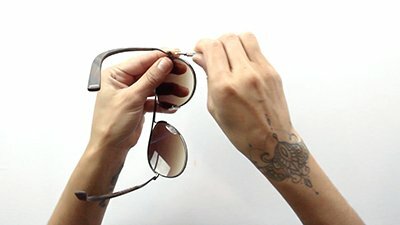 To install your new lenses, turn your sunglasses towards you. 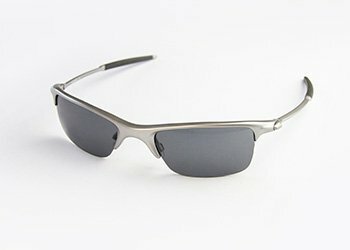 Line your new lenses up with the frame and click them into place from the front of the frame. 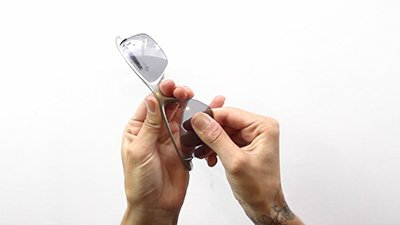 Once both lenses are in placed, tighten the screw and do a final safety test by applying some preassure on the lens, to ensure that they do not pop out the frames. 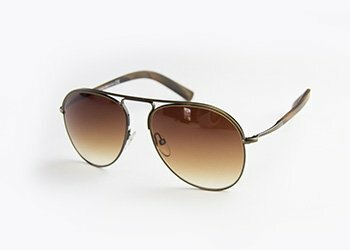 Enjoy seeing clearly again through your new sunglass lenses! The Metal Frame are designed so that even if you bend them whilst removing the lenses, the frames won't wrap or bend out of shape. 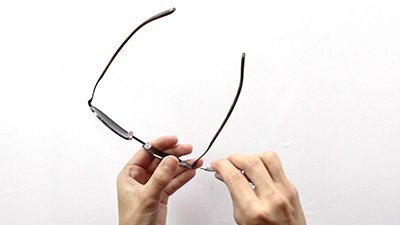 To start, turn your glasses towards you and place your thumb in the nose bridge section. 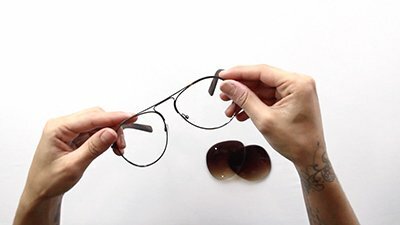 The best way to remove these lenses is to place your thumb in the center and pull down on the inside edge of the firstlens to pop it out. Repeat this step. 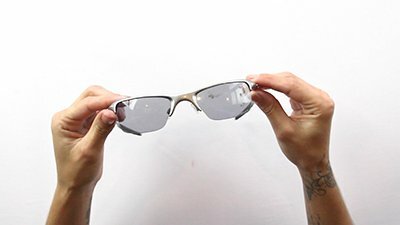 To install your new lens, line up the outside edge with the frame and insert it from the outside in. Make sure it's in the grooves properly and then push the other side of the lens into place. 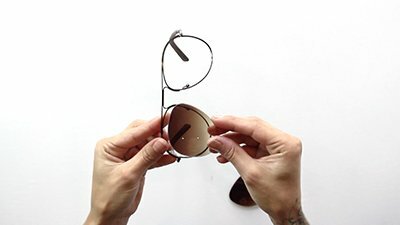 Once it's in place, pull down on the lens to ensure its secure. Finally give your lenses a clean with your new cloth and enjoy seeing clearly again with the Sunglass Fix.